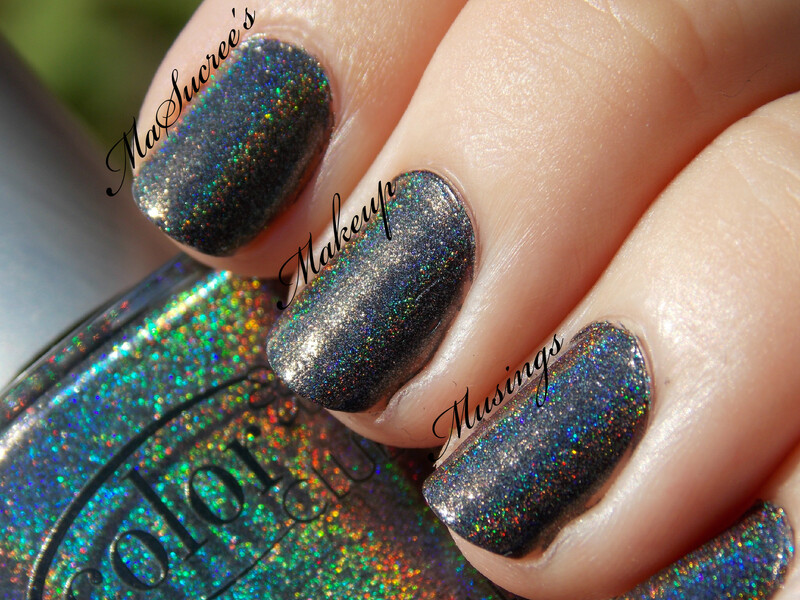 I have some holo swatches for you today. 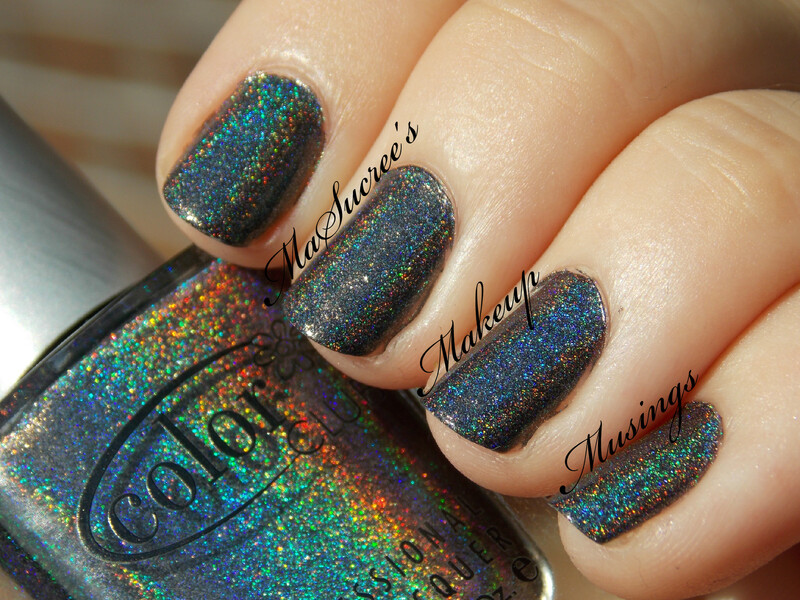 Today’s swatches are of Color Club‘s Beyond, a nice holo black. I also compare Beyond to Color Club’s Revvvolution a semi holo I swatched earlier further down in the post. Left to right: Color Club Beyond and Color Club Revvvolution. Look at all that holo goodness! Its kind of weird to have a black polish with that much shine. Left to right: A-England Dorian Gray, Color Club Beyond and Color Club Revvvolution. I threw Dorian Gray in there because out of sunlight they look pretty similar in base colour, but really they’re nothing a like when it comes to the shimmer/holo sparkle. But that’s ok, because some days you want something super full on holo and some days not so much. Another win from Color Club.